Last week we showcased five modern motorcycles that hit the mark in terms of attitude and style. It was a mix of retro re-issues and well-designed modern machines, and struck a chord with many readers. All of the featured bikes had one thing in common—they looked great in both stock and custom form. But we quickly realized that five wasn’t nearly enough, so we’ve decided to revisit our selection. Here are another five showroom bikes that we’d love to take home, ride, show off to our friends and customize. Let us know which one grabs your attention the most—unless of course you’re still stuck on the original list. 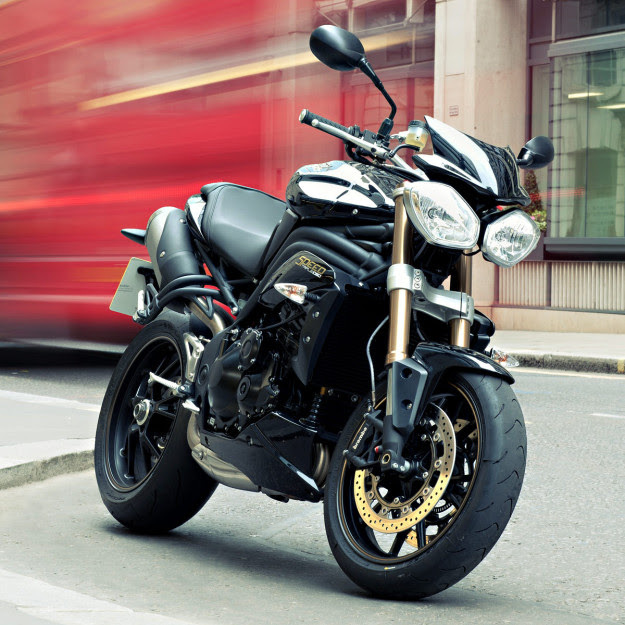 Triumph Speed Triple I’ve been a fan of the Speed Triple ever since Tom Cruise’s famous Mission Impossible II chase scene. Triumph’s iconic naked hooligan bike has seen some technical and styling changes over the years, but it’s still a very relevant motorcycle. The key ingredients are all present: a brilliant 1050cc three-cylinder engine, unapologetic styling and headlights that look like they were unceremoniously ripped from a sport bike fairing. There’s also ABS braking to keep you in check. It’s a bike I’d happily park in my garage, but more importantly it’s a bike that I’d like to see more custom shops tear into. Almost $2,000 more gets you the R-model, with Öhlins suspension, Brembo brakes and a smattering of bolt-on accessories. At a glance: $12,799, 135hp, 111Nm, 214kg (curb weight) What we’d do: Hit up LSL for some parts and ride it daily. Or we’d send it to: Spirit Of The Seventies in England. 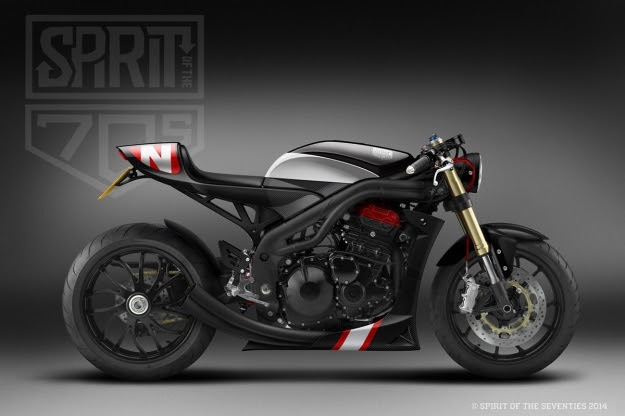 They’ve already teased us with Speed triple concepts, and we’d love to see them build one. Yamaha XJR1300 Yamaha have really been swinging for the fences with their Yard Built program. Last week we showed off the SR400, this time we’re on the other end of the spectrum with the four-cylinder, 1,251cc XJR1300. It’s the epitome of Japanese muscle – a nod to the past with up-to-date tech that includes Öhlins shocks and monobloc four-piston brake calipers. There’s even a four-into-one exhaust system with an EXUP muffler to add the appropriate soundtrack. 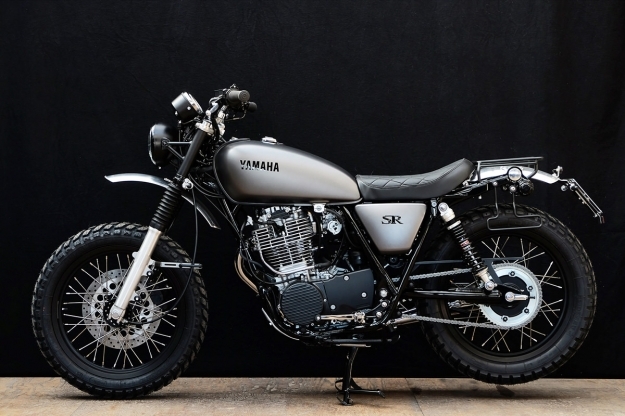 Yamaha wasted no time in farming it out to the Wrenchmonkees and Deus Ex Machina Italy. The resulting customs were inspired and ultra-desirable, and off-the-shelf custom parts from both shops are now available. 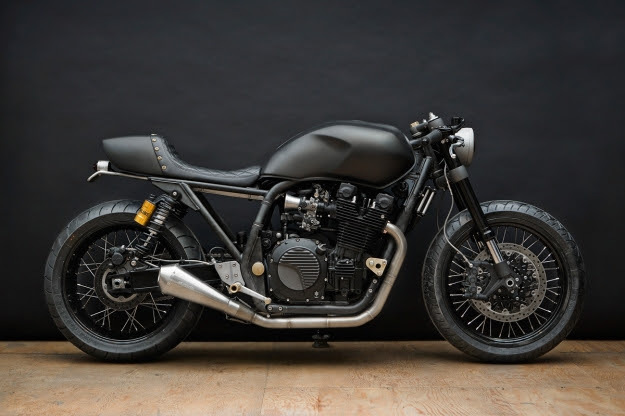 At a glance: 71.9kW, 108.4Nm, 245kg (curb weight) What we’d do: Order in some parts from Deus Ex Machina Italy and put together our own Project X replica. Or we’d send it to: Japanese muscle-bike specialists AC Sanctuary. Or the Wrenchmonkees, for a replica of the mighty Monkeefist (below). Harley-Davidson Sportster 1200 Forty-Eight I’ve never been big on Harley-Davidsons myself, but even I can’t deny the Sportster’s popularity among builders. I’ve seen Sporties utilized for everything from flat trackers to café-racers, and a good few of them have stopped me dead in my tracks. Plus there’s the torque and the distinctive ‘growl’ from that V-twin mill. 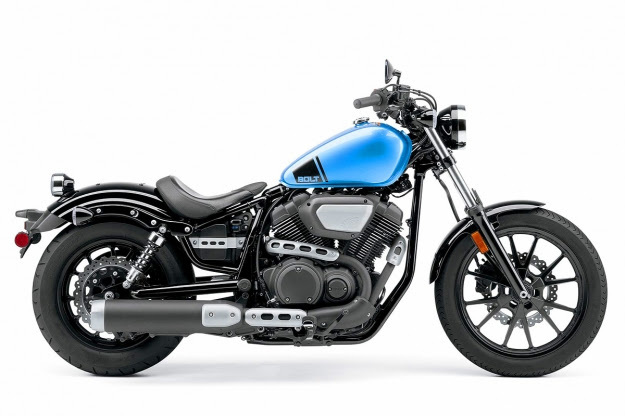 There are currently six models in the Sportster line, but we’ve settled on the 1200 Forty-Eight (below). Right off the bat it has a brawny feel to it, with a raised peanut tank, solo seat, tiny headlight and blacked-out engine casings. 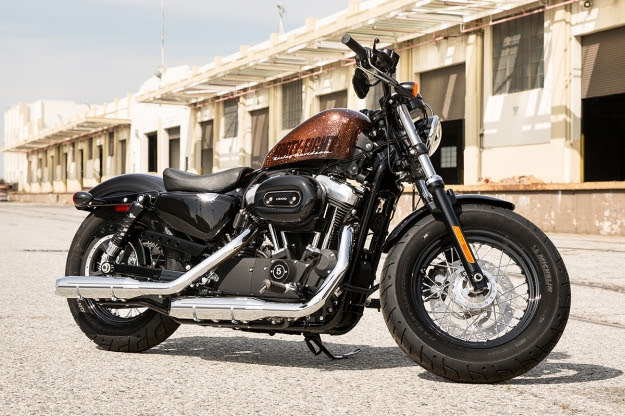 If your budget doesn’t stretch that far, the smaller-capacity Iron 883 would be a solid second choice, and you could always give it a performance boost at a later stage. At a glance: Priced from $10,749, 67hp, 96Nm What we’d do: Move the foot controls back to where they belong, and sprinkle some Biltwell parts on it. 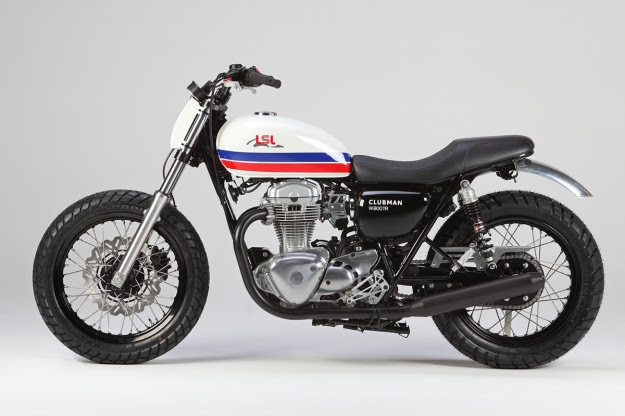 Or we’d send it to: Roland Sands for a flat-tracker makeover (below). Yamaha XV950 / Star Bolt Normally we wouldn’t include two bikes from the same manufacturer, but since the XV950 is sold in the USA under the Star brand as the Bolt, we’ll give ourselves a free pass. 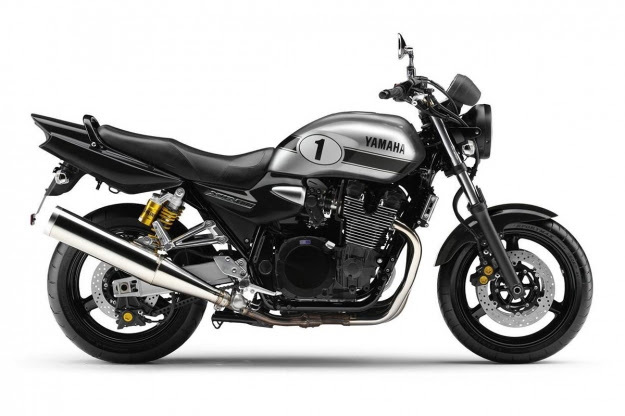 Besides, we can’t help but love the Bolt’s bare-bones vibe, aptly described by Yamaha as a ‘neo retro Japanese look’—even if the exhaust is a little gaudy. 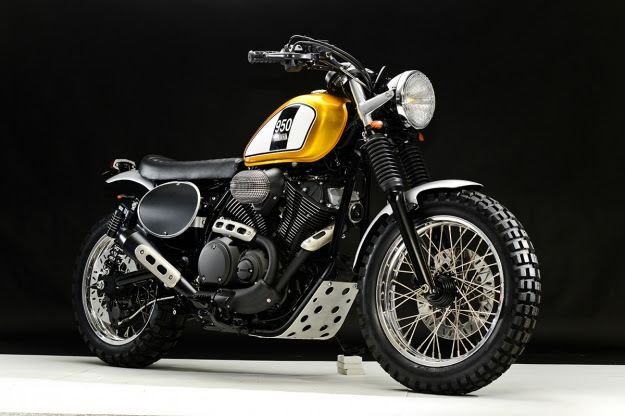 Yamaha’s interest in the new-wave custom scene is also refreshing: last year they ran the Bolt Custom Build-Off, where they shipped Bolts to ten builders and asked the public to select a winner. 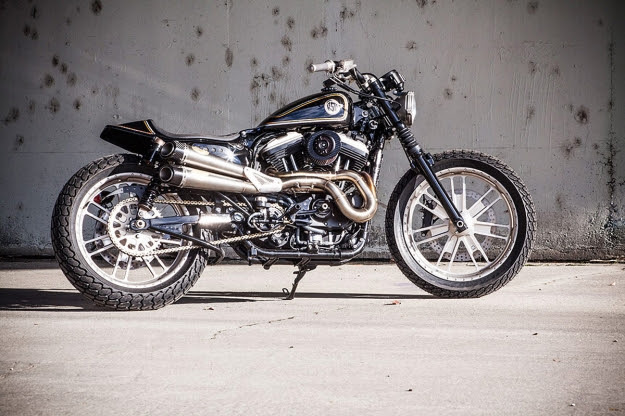 The results were intriguing, with top work coming from the likes of Roland Sands, Chappell Customs, Burly Brand, Jeff Palhegyi and Greg Hageman, who took top honors. At a glance: $7,990, 45hp, 68Nm, 540lb (curb weight) What we’d do: Keep it bobbed, and ask Chappell Customs to send us the bolt-on, mono-shock subframe that they used on their Build-Off entry. Or we’d send it to: Greg Hageman. His competition-winning bike (below) was sublime, and we’d love to see what he’d do second time around. Kawasaki W800 Special Edition We really should have included the Kawasaki W800 in our first Modern Motorcycles round up. It’s easily one of the nicest neo-classics currently on the market, exuding tons of British charm despite being manufactured in Japan. 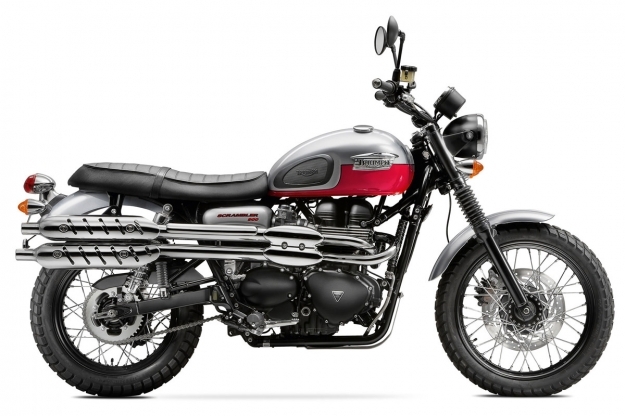 Its predecessor, the W650, was in production from 1999—two years before Triumph launched their new Bonneville. After a short hiatus from 2008 to 2011, the W800 was released with a displacement jump to 773cc and fuel injection. It’s an easy going motorcycle thanks to its parallel-twin mill, but what’s really great about it is how much attention Kawasaki have paid to small details—such as the pairing of an 18” rear wheel with a 19” front wheel for a more balanced stance. The current Special Edition’s predominantly black paint scheme (below) is a winner, and both it and the regular model are available in ‘Café Style’ versions, with a solo seat and a small bikini fairing. 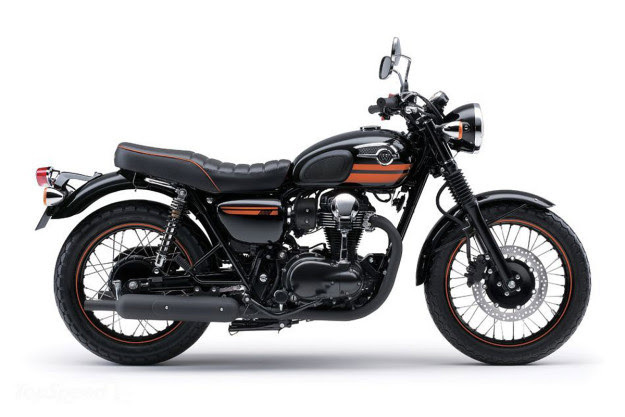 And if it seems like I’m waxing lyrical about the W, I will admit that I’m biased—I own a W650 and love it. At a glance: €8,569, 35Kw, 60Nm, 217kg (curb weight) What we’d do: Turn it into a vintage trials-inspired scrambler, like James Whitham’s gorgeous W650 tracker. Or we’d send it to: LSL, for a Clubman-style W800 special (below). Header image: Low and Mean’s Star Bolt. 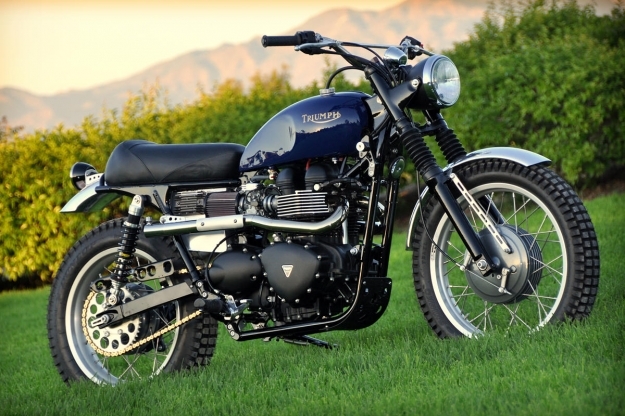 Read last week’s Top 5 Modern Motorcycles here. The post Top 5 Modern Motorcycles Part II appeared first on Bike EXIF. It’s a widely held opinion that contemporary motorcycle design isn’t quite what it used to be. The sense of nostalgia that fuels the custom scene is often associated with the belief that motorcycling’s golden age preceded 1980. Bikes looked better, had more class and were built simpler, devoid of modern amenities such as fuel injection and ABS braking. But owning a vintage motorcycle isn’t everyone’s cup of tea. By modern standards, older bikes have poor brakes, soft suspension and require more maintenance—and not everyone has the skill or patience to address these issues. Thankfully, there are some manufacturers who still produce beautiful motorcycles—whether they are neo-classics, or modern designs that evoke emotion. Even better, major brands have begun to recognize the custom scene as a legitimate market, and have started supporting it. So here are five modern motorcycles that we love. These are bikes that look great right off the showroom floor, but also have tons of potential as bases for custom projects. Let us know if we’ve piqued your interest with our selection. Which one of these lookers would you choose? BMW R nineT BMW put smiles on the faces of many motorcyclists when they launched the R nineT. 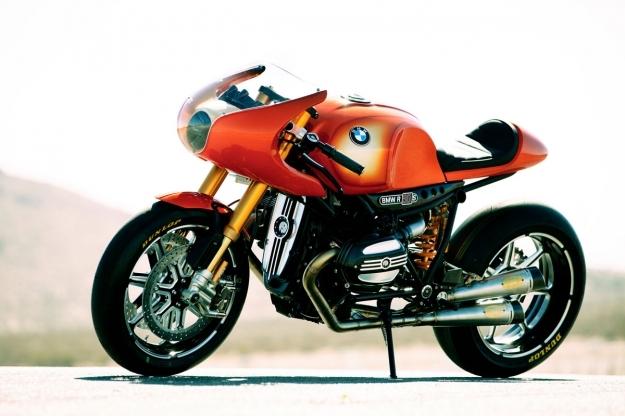 A nod to the venerable 90-year-old boxer, it also signaled BMW’s recognition of the burgeoning custom scene. Ola Stenegärd and his team even involved four of the world’s foremost builders in the launch, giving each an R nineT to customize as they saw fit. 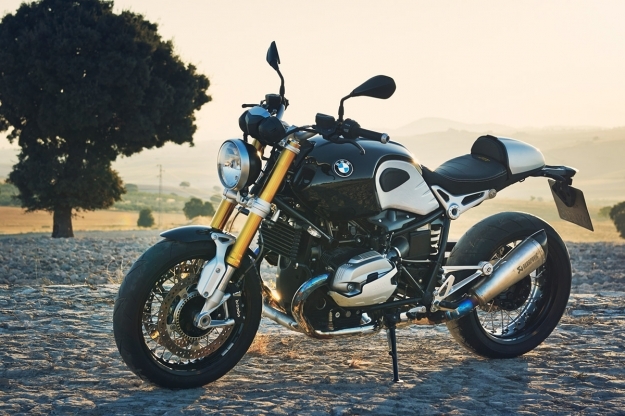 The bike itself encourages personalization: the rear part of the subframe is removable to allow for multiple seat configurations, and BMW have already released an array of bolt-on parts. 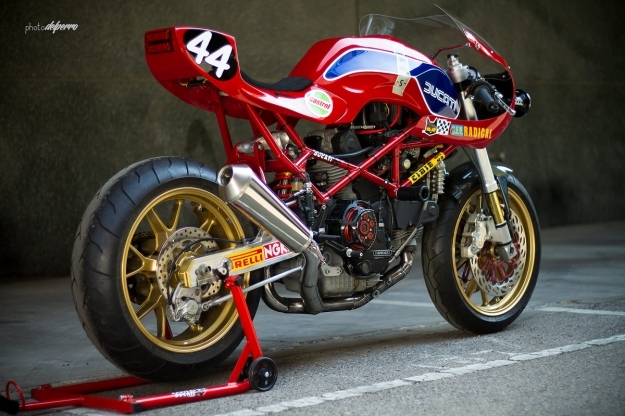 Ducati Monster 1200S Miguel Angel Galluzzi’s original Monster design remains iconic to this day. And, while it’s evolved over the last eleven years to adopt more radical and aggressive styling, its original DNA is still present in the current Monster model line. The sport-bike tail, hunched tank and trellis frame are all there to remind us of its parts bin origins. 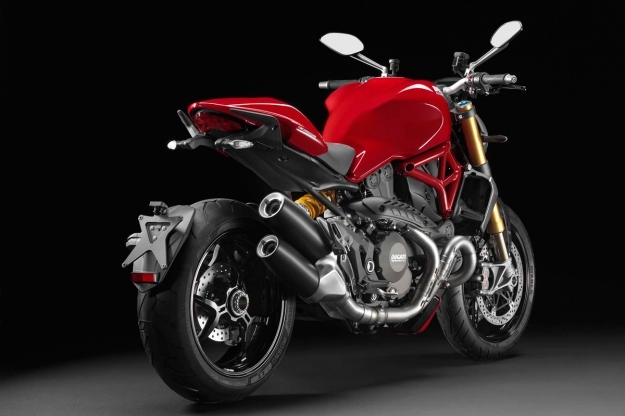 At the top of the current range is the Monster 1200S, boosted to a whopping 145hp by Ducati’s Performance Package, and equipped with Brembo brakes, Öhlins suspension and a discreet styling touches to set it apart from the regular Monster 1200. At a glance: $15,995, 145hp, 124.5Nm, 461lb (curb weight) What we’d do: Nothing more than a few trick bits from Rizoma to tidy it up. Or we’d send it to: Radical Ducati, if they were still around, given their record with custom Monsters like the one below. 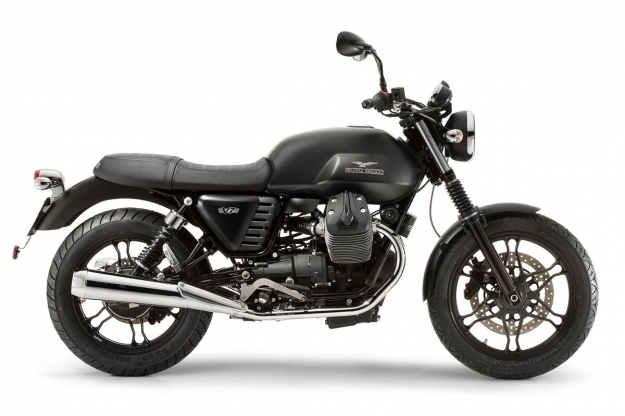 Moto Guzzi V7 Stone Outside Europe, Moto Guzzi’s V7 seems to fly under the radar. But we think it’s a great bike (our editor rides one and digs it). It’s a sweet-handling motorcycle with retro styling that has almost single-handedly revitalized the fortunes of the Moto Guzzi brand. The V7 Stone is the cheapest and most understated of the range; available in only plain black or white, with no graphics other than Guzzi logos, it’s the polar opposite of the higher-end, chrome-tanked V7 Racer. Which is exactly why we love it. It’s the perfect blank canvas for customization, while still being incredibly classy in stock trim. 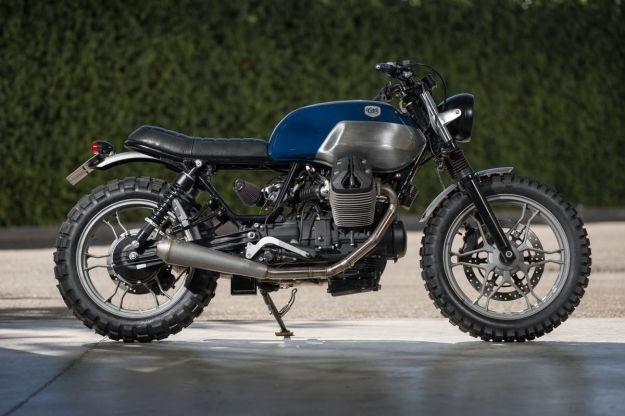 At a glance: $8,490, 50hp, 58Nm, 395lbs (curb weight) What we’d do: In Europe, we’d turn it into a subtle street scrambler, Cafe Racer Dreams style (below), or send it to Officine Rossopuro. In the USA, we’d entrust the job to Revival Cycles. Triumph Scrambler It would be silly of us not to include one of Triumph’s ubiquitous modern classics in this line-up. Alongside the Bonneville and Thruxton, the Scrambler has enjoyed consistent popularity since it launched, thanks to its desert sled styling and pseudo-McQueen heritage. Owners looking for off-the-shelf parts to personalize their Hinckley Triumphs can choose from Triumph’s own extensive aftermarket catalogue, or from a growing list of third party Triumph specialists. Many Scrambler owners are just happy to stick on some knobbly tires and call it a day, though. At a glance: $9,099, 59hp, 68Nm, 472lbs (curb weight) What we’d do: Raid the Dime City Cycles or British Customs online stores. Or we’d send it to: Mule Motorcycles for a retro custom job like the ‘Catalina‘ (below). 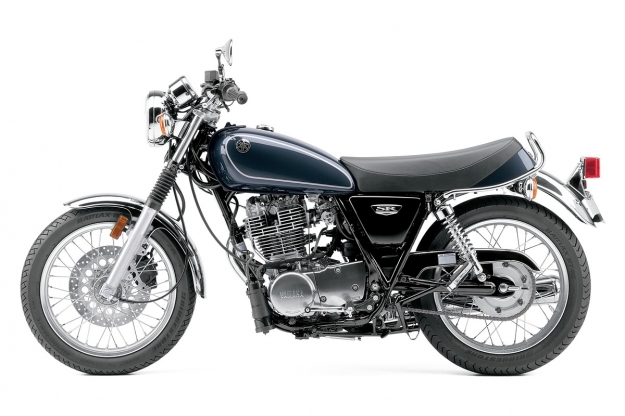 Yamaha SR400 As much as we love its unpretentious ’70s styling, the SR400 is a bike we’d buy just to tear into. Sure, it’s a 35-year-old cult classic (that still has a kick starter), but it’s just begging to be personalized. Yamaha themselves pitch it as a great base for custom projects—including it in their awesome Yard Built program. The fact that it’s affordable and has a simple, air-cooled, single cylinder motor doesn’t hurt either. At a glance: $5,900, 23hp, 27.4Nm, 384lb (curb weight) What we’d do: Grab some Wrenchmonkees parts from the German KEDO store to build our own Gibbonslap (below). Or we’d send it to: Japanese master Go Takamine for a dash of Brat Style. Motorcycle specs are manufacturers’ figures. Last week’s Top 5 covered the best Concept Motorcycles.